We are now in the heart of tax season and for the first time in as long as I can remember, I am not stressed out. In fact, I feel as cool as cucumber because my family’s taxes are done! It feels weird, but good. Normally, I wait to the very last day to file and mail out our returns to CRA. 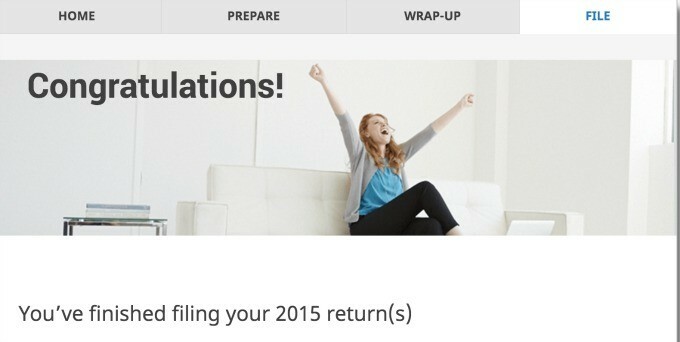 This year, I used H&R Block’s Online Tax Software and it didn’t cost me a penny. I even prepared all three of our returns (John, Olivia and my own) in one afternoon. Craziness! Initially, I was only planning to do Olivia and John’s tax returns via H&R Block’s Online Tax Software. 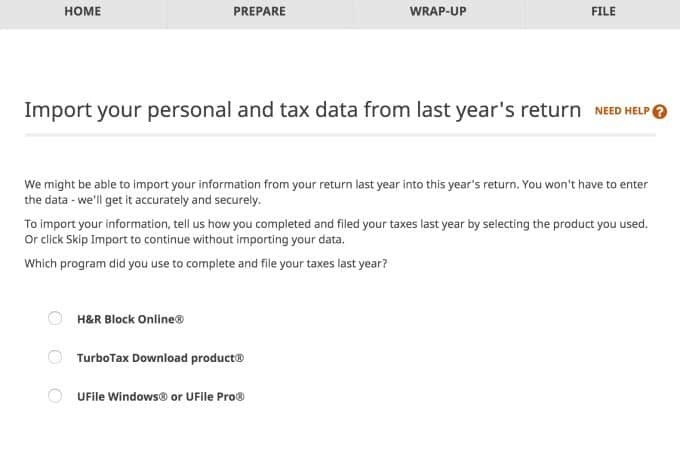 However, as I was going through the prompts to prepare their returns, I realized that I could use this free software to prepare my own small business tax return. 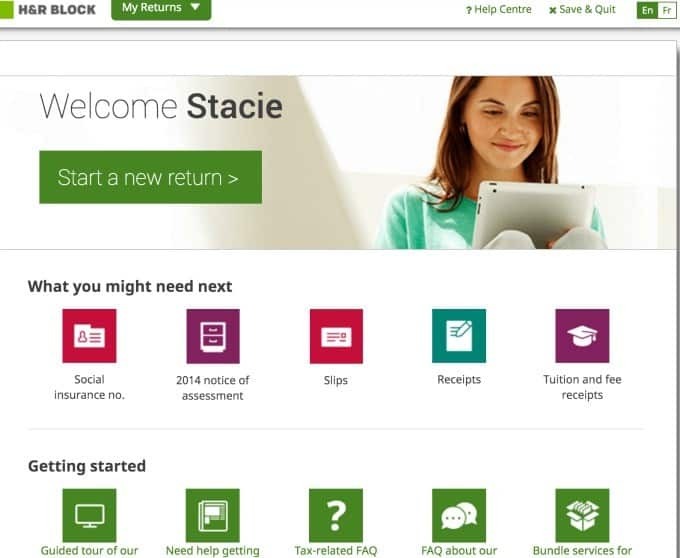 H&R Block recently launched its free Download and Online Tax Software for Canadian tax filers. 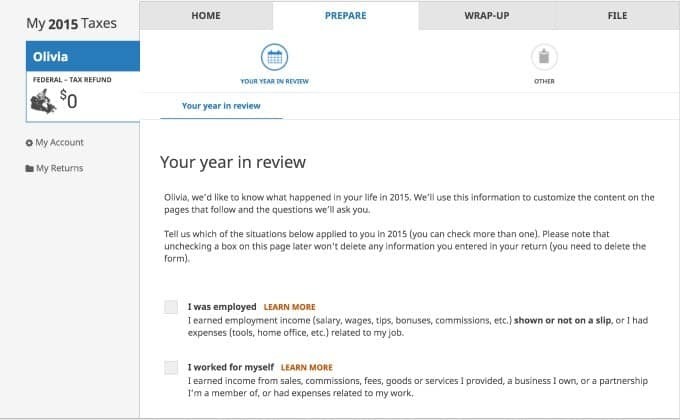 You can use it to prepare your own return whether its simple like Olivia’s with a couple T4s or more complex like my own return with a small business. The interface is clean, organized and simple to navigate. It literally walks you through the process of preparing your tax return. The best part is that anyone can do it and you don’t need to have a background in accounting like me. Another perk is that you can easily import your data directly from other tax preparation software like Ufile or Turbotax. I’ve paper filed our returns for years so I didn’t need to use this feature, but it’s a big timesaver if you did need to use it! You can either use the Download Tax Software – no CD required or the Online Tax Software like I did. The Online Tax Software is fully optimized for your devices. Yes, you can prepare your taxes on your phone or tablet! I prepared ours on my laptop, but it’s great to have the option to do them on mobile. 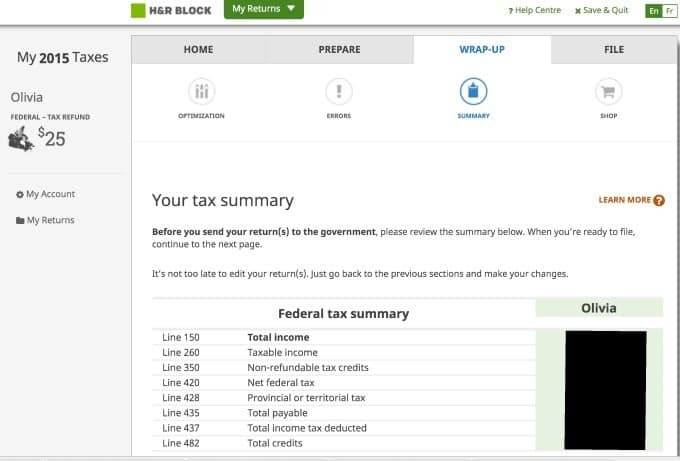 H&R Block’s Download and Online Tax Software was built by tax professionals and is backed by H&R Block, a brand that 50 years of Canadian tax return experience. It offers a straight forward, interview-style approach ensuring that nothing is missed and making it incredibly user-friendly. If you run into something you don’t understand, you can access the enhanced help centre. Here you’ll have access to tips, resources and help from H&R Block for all your tax related questions, no matter how complex. 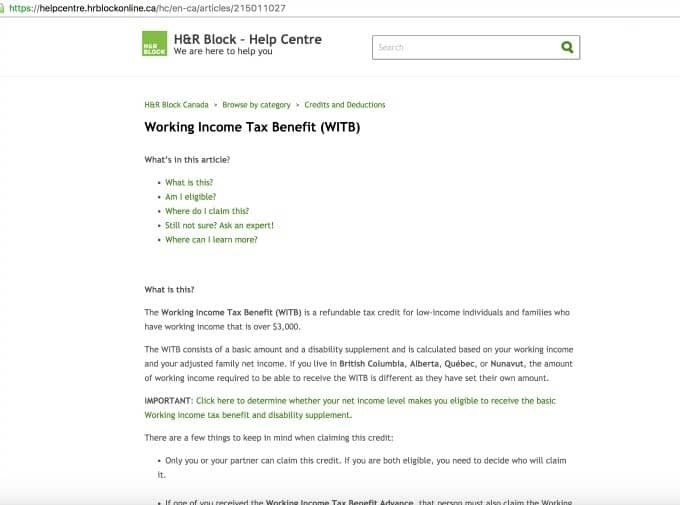 I used the Help Centre to learn more about the Working Income Tax Benefit. It wasn’t around when I was working at my old job and I wanted to see if it would apply to our tax situation. In addition, you’ll also have access to 24/7 technical support and tax advice. 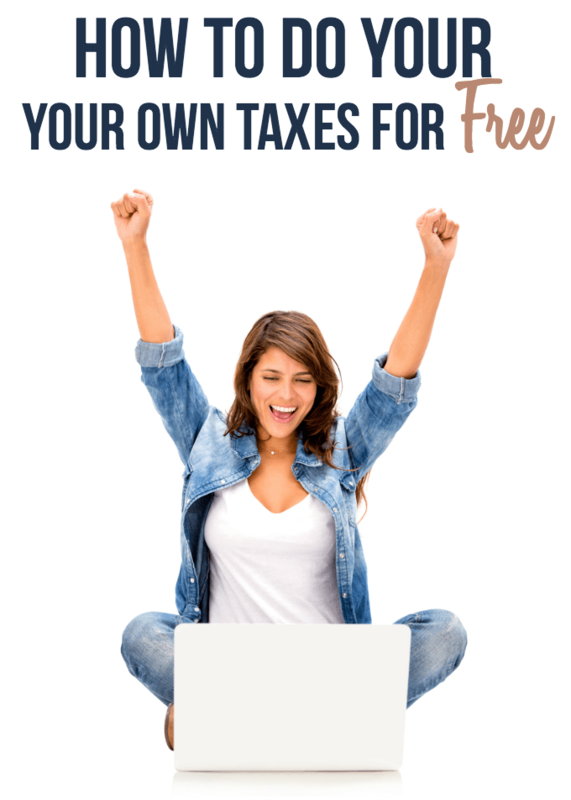 I love that the H&R Block Download and Online Tax Software is completely free to use and has no hidden fees. It’s free no matter your income, age, job or whatever! In the past, I paper filed because I know how to prepare my taxes and didn’t want to pay for a software to do them. I usually owe to the government because I’m self-employed so I figured I was paying enough already! Now I know how I’ll be filing our taxes from now on. 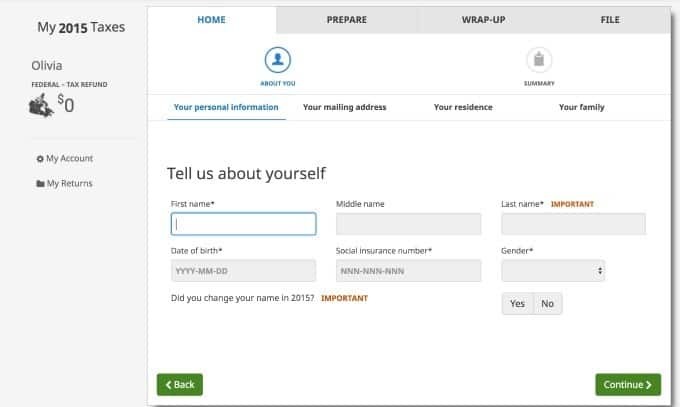 After your return is prepared, you have the option to NETFILE it so it goes straight to the government or print out and send via mail. Over 11 million Canadians typically file online so it’s wonderful to have that option. Then it’s over and done with and you don’t have to splurge on stamps! I wanted to celebrate when I saw this screen! It felt great to cross this big item off my to-do list. I was dreading doing them because they normally take me forever. This year was so easy and I saved so much time. Seriously, if you DIY your own taxes, you need to try HR Block’s Download or Online Tax Software. Save yourself time and money! Get started on your taxes today by visiting hrblock.ca and either downloading the software or selecting the online option. If doing your own taxes isn’t for you, that’s ok too. H&R Block has over 1,200 offices across Canada where you can bring in your return for one of their tax professionals to prepare. Taxes done here!!! Hubby does a fantastic job with them too! Got them done and Filed! Nice to have them out the way.